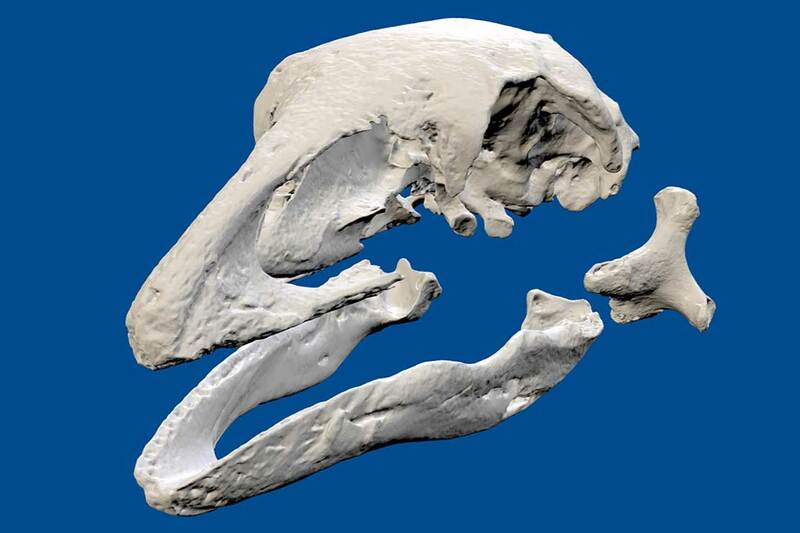 3D digitised skull of a little bush moa from Auckland War Memorial museum. A new website for viewing 3D bird bones aims to make bird bones in museums more accessible for research and teaching. Massey University senior lecturer Dr Daniel Thomas has launched a new website, called Fauna Toolkit: Bird Bones for students and researchers interested in identifying bird bones. Inspired by existing initiatives like Aves3D.org, the site currently contains 159 bones from 28 species, including many New Zealand species, such as the Little Bush Moa, the North Island Brown Kiwi, and Kārearea (New Zealand falcon), and Dr Thomas plans to add more items. Dr Thomas says the project is designed around the philosophy of making objects that are not on display in museums, more easily available. The digitised models were created by scanning collections belonging to the Auckland War Memorial Museum and Canterbury Museum. Dr Thomas intends to use this site for his own research and teaching, including the bones module of the 300-level Ornithology class he teaches.